You’ve probably seen the above quote somewhere on the internet. Pinterest, Tumblr, Facebook or Twitter – Helvetica type over washed out photography. It’s a romantic thought that speaks perfectly to the image crafting of millennials and their aspirations. So it’s probably no surprise that it’s a quote I am totally on-board with, and will eagerly buy into. In September and October I abandoned my usual perch at my desk in the Curative studio to go exploring the world. Specifically, the North American part of the world. 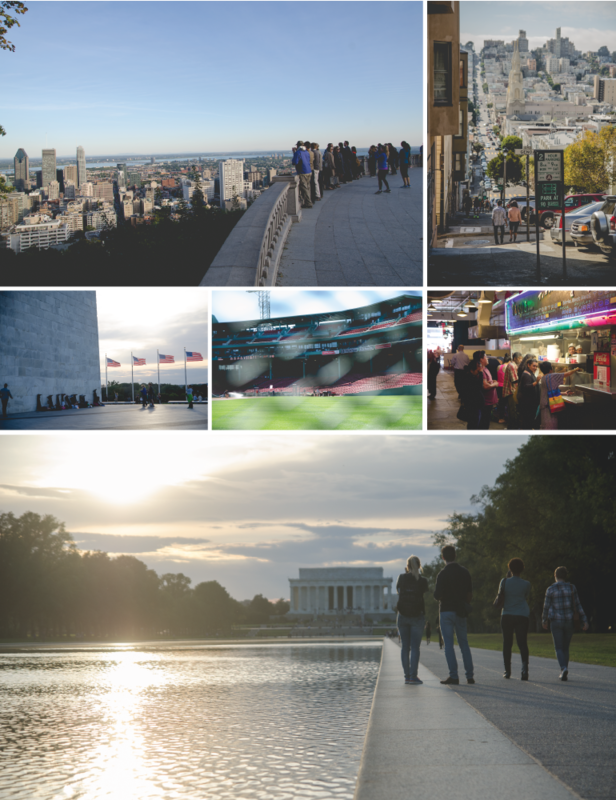 Over five weeks I wandered around cities that I’d only seen in movies and on television: San Francisco, Montreal, Boston, New York, Washington DC, LA. For the most part the trip was a vacation, a loooong vacation (with it’s own hashtag #AmeriKaan), filled with adventures and experiences, both planned and accidental. All the things I love about travel popped up like old friends at a wedding, and I welcomed these moments with an unbridled enthusiasm: Random conversations with single-serve friends about everything and nothing, walking tours that take you off the well beaten track, layovers in empty airport terminals, long bus trips through the night and a lack of sleep due to an overambitious list of places to go. The stories collected over the trip are much too long and meandering for a blog post of this size (buy me a drink and I can bore you with those tales in a more informal setting). Instead I thought I’d focus on two phenomenal events in New York I had the privilege of attending. Since Curative started we’ve been really inspired by a lot of what’s happening overseas. And while we may be isolated on an island at the bottom of the world, we’re more then capable of getting in on the fun. 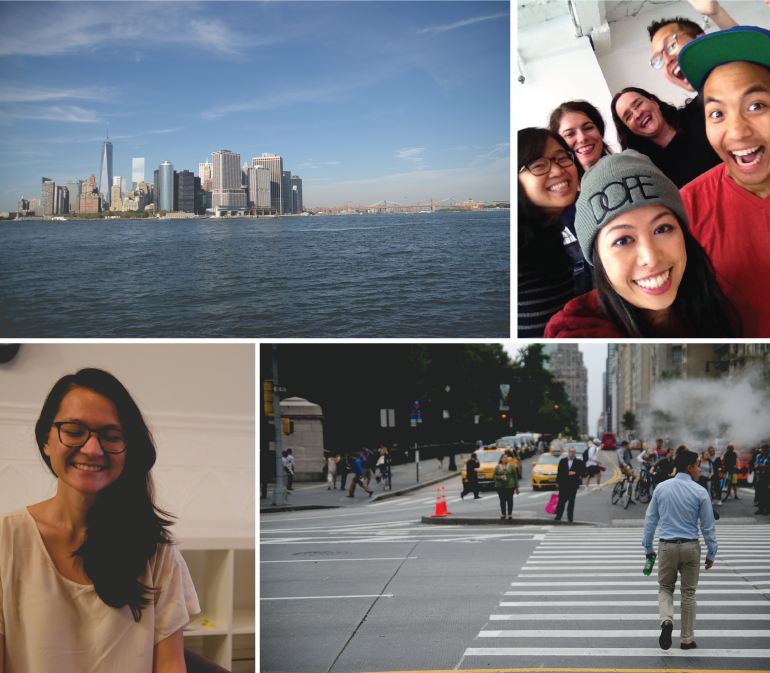 There’s a lot of value to be gained from joining a global community, and my experiences in NYC at the inaugural CreativeMornings Global Summit, and The Feast Conference proved just that. Arriving at the CreativeMornings Summit opening night party felt a lot like the first day at school. Being confronted with a room full of talented creatives can be quite an intimidating prospect, and I worried I'd be the awkward guys standing in the corner. I needn’t have worried. I’ve never felt so welcomed by a group of strangers. Immediately friendships were formed and these connections were built upon and solidified over the next few days. Over the course of the summit we brainstormed with IDEO, told stories of triumph and failure, shared learnings and ideas, listened to design luminaries share their wisdom and attended a CreativeMornings talk at MoMA (my first as a guest). It was an amazing and inspiring time, the dictionary definition of being high on life. I emerged refreshed and inspired, excited to implement more then a few of the ideas discussed at CreativeMornings/Akl through out 2015. Huge thanks to the CreativeMornings HQ for organising and gathering such a wonderful group of people together, and to our global partners Mailchimp, Squarespace, and Shutterstock for providing travel grants to help a whole lot of us from further afield to get to NYC. A week after the Summit wrapped I dove into The Feast. As the Auckland Hub, Curative has been associated with the social innovation conference since 2012, so it was an amazing opportunity to be a part of the main event. Once again I found myself in a room full with amazingly talented humans, passionate about doing good with their skills. Over the three days I chatted with people from New York, and much further abroad, about world changing ideas, listened to inspiring speakers, and watched some amazing performance pieces. It’s so hard to describe the experience, because so much happened, and all of it felt important. I guess what I took away from the weekend was a reassurance that postive social change can be achieved when there are so many who are passionate about doing what needs to be done to help change the world. Walking away from both events I was filled with a sense of euphoria. It’s amazing to be a part of such an energetic group, a group that isn’t afraid to muck in and do the doing. Almost uniformly all the people I met were incredibly warm and welcoming, interested, and interesting, engaged in their local communities and unafraid of hard work. Simply by putting our hands up to be a part of these amazing communities we’ve been able to build friendships around the world with individuals and organisations that have the same ideals and passions, who inspire us and are inspired by us, and that’s a pretty fantastic thing. So while I agree with the idea that travel makes you richer, I don’t think it’s the only thing that does so. Just as much value can be found by getting involved in making the world around you a better place. In fact, by fearlessly mucking in, you may just be able to bring the world to your neighbourhood, and your neighbourhood to the world. All working on common ground.